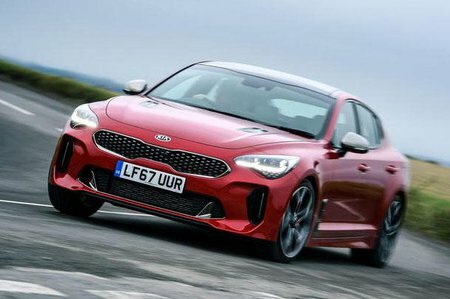 Kia Stinger 2.0 T-GDi GT-Line 5dr Auto 2019 Review | What Car? What Car? will save you at least £2,480, but our approved dealers could save you even more. Even entry-level GT-Line trim comes with a vast number of toys; everything from heated electric front seats (with memory recall for the driver) and full leather seat trim to a head-up display, adaptive cruise control, keyless entry, front and rear parking sensors, a rear-view camera, sat-nav, a DAB radio, Bluetooth and an 8.0in touchscreen. The 2.0 petrol feels sluggish at low revs but is brisk enough when you rev it hard, yet for a sporty car it sounds bland and boring.